Gluten-free Lactation Chocolate Chip Banana Bread made with wholesome and healthy ingredients for all mama’s milk supply! For all my mama friends, you guys are going to go crazy over this banana bread. And for anyone who just loves banana bread, you can still make and enjoy this recipe too – I promise it is for everyone! It goes without saying that I am more than obsessed with baking different banana bread recipes on the blog. We have everything from vegan and paleo ones, to nut free, to cinnamon roll banana breads. Oh and don’t forget the banana bread oatmeal bake. There are oh so many recipes that are created purely based off my love for banana bread. But today we are merging two things I am passionate about in life: banana bread + breastfeeding. I have been breastfeeding for almost 3 months now and that is quite the adventure. I have been sharing a lot with you guys over on Instagram and there is a lot more to come here on the blog, but for now let’s just focus on the banana bread and the ingredients we use to make it! This Gluten-free Lactation Chocolate Chip Banana Bread is made with ingredients to help support a healthy milk supply. I use foods like sprouted rolled oats, which are said to help mama’s supply. Plus they are even filled with fiber! I also add in a product that I am so passionate about – Majka. You have seen me posting about Majka’s products (specifically their bites) over on Instagram a lot over the past couple of months. I truly am so impressed with the products they create and seeing how much they have helped my supply makes them such a huge part of my daily eats right now. I usually find products like these gimmicky and don’t buy into the whole thing. But I can confidently say, these work for me. I cannot say they will work for every mama but they’re so worth a try you guys! One-Bowl Paleo Vegan Chocolate Chip Banana Bread made with all gluten-free, dairy-free and refined sugar-free ingredients for an easy healthy banana bread recipe. Has anyone been tracking the number of banana bread recipes on the blog yet? I lost count awhile back but the possibilities of new banana bread combinations are seriously endless. Especially when my friends (aka you guys) are requesting different types for certain dietary restrictions or allergies. I gotcha covered! 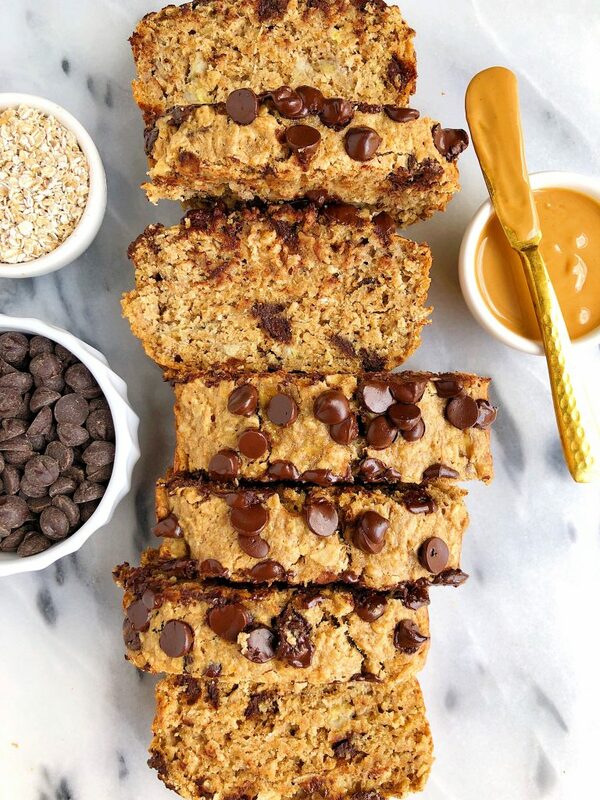 Welcome the newest banana bread recipe to the crew – One-Bowl Paleo Vegan Chocolate Chip Banana Bread. A grain-free, gluten-free and vegan recipe and all you have to do is dirty one big a$$ bowl in the kitchen. 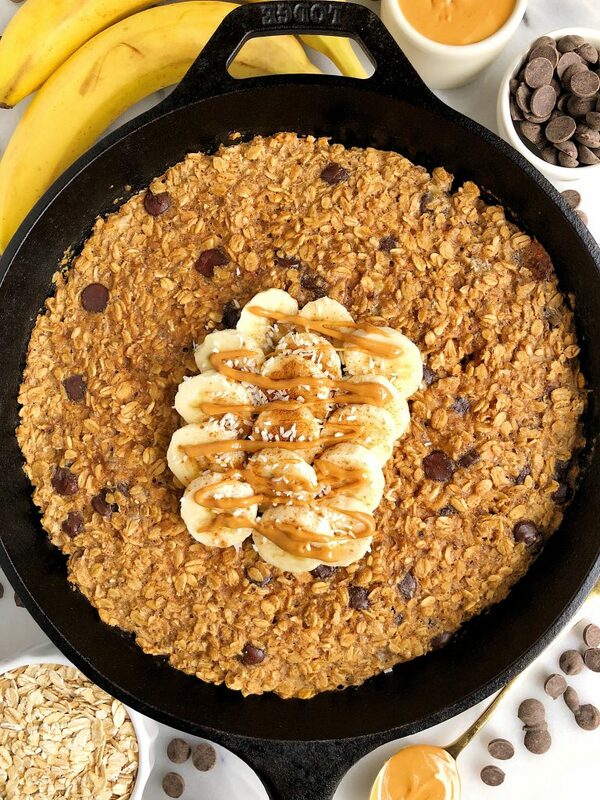 Dark Chocolate Banana Bread Baked Oatmeal made with gluten-free, dairy-free ingredients for an easy and delicious homemade oatmeal bake! Plus there’s a boost of collagen peptides for added nutrients and protein. 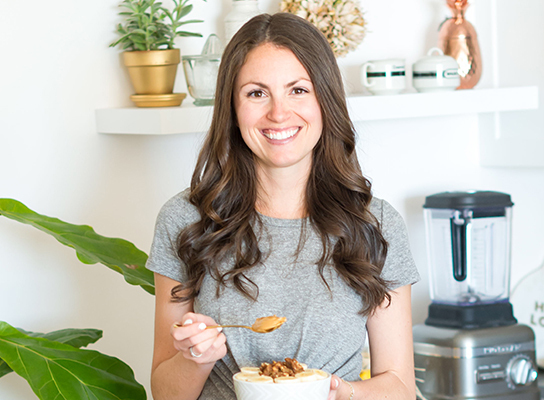 It feels like forever ago since I have shared a baked oatmeal recipe with you guys! Oatmeal bakes were actually one of the first recipes I used to make when I started experimenting in the kitchen. I loved how it combined a little cake-like dish with oatmeal for breakfast and how easy they are to make. I used to just toss in any mix-in’s and things we had in the fridge or pantry and make so many different types of baked oatmeals. This one though is hands down my favorite. I guess it could be because it has a bit of a banana bread theme (shocker) and I also think the ratio of oats to the other ingredients used are on point. It just soft on the inside and the outside has a little crunchy edge and “crust” of sorts. Vegan Cinnamon Roll Banana Bread made with all gluten-free and nut-free ingredients for an easy banana bread recipe with a cinnamon roll twist! Are you guys ready for a marathon of recipes the first couple weeks of February? We are quickly approaching the due date of our little dude (2/22) and I have front loaded a month’s worth of recipes into the first couple of weeks of the month. Sure, he could make his arrival tomorrow for all I know but at least I know my friends (aka you) have some delicious eats to keep you satisfied! I’m planning to take a “maternity leave” from 2/1-4/1, but TBH I have no idea what that means when you are working for yourself. Hopefully no emails (or limited emailing) and no new recipe development. Just eating as fuel, posting content that I prepped for you and just in the moment eats and loving with our bub. We shall see. This banana bread is unique compared to the others here on the blog. It is a bit more cake-like and has just the right amount of “moist” texture to it. 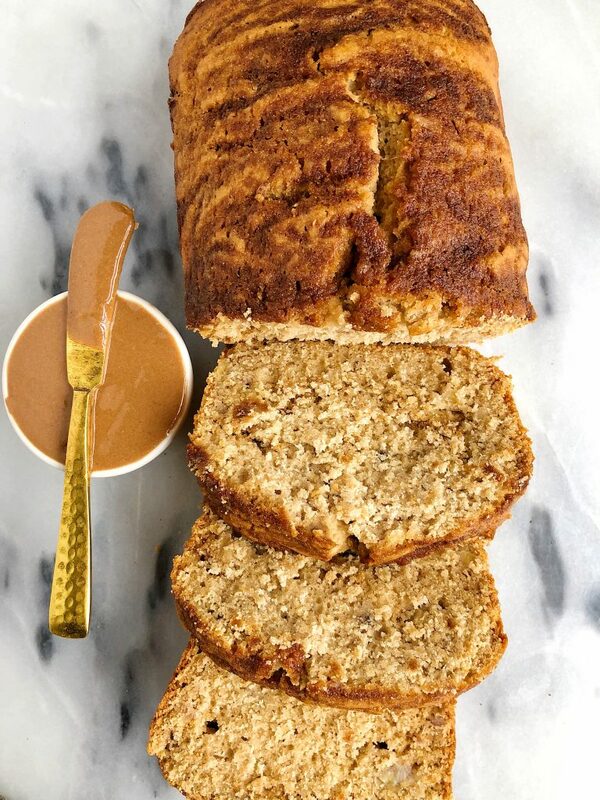 The edges of the bread have a little crispy crunch and the flavors of banana bread swirled with cinnamon coconut sugar truly make me swoon. We are combining two of the best kind of breakfast recipes into one, what is not to love? 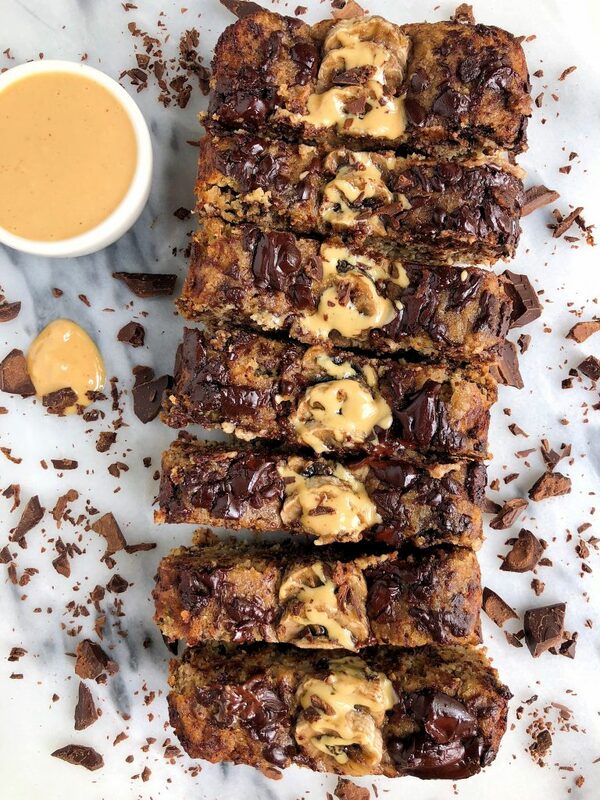 Paleo Chocolate Chunk Tahini Banana Bread made with all gluten-free, vegan ingredients and with no refined sugars! It has been awhile since we shared a brand new loaf of BANANA BREAD here on the blog. My main b, the original eats here on the blog and by far my most favorite recipe to bake, photograph and EAT. I’m extra excited to share this new banana bread recipe with you guys because we are using some new ingredients in this loaf and this recipe is paleo, gluten-free, dairy-free and it is entirely plant-based. Usually paleo and plant-based recipes aren’t the most common, especially when it comes to baking since the consistency can be off, but not in this banana bread! 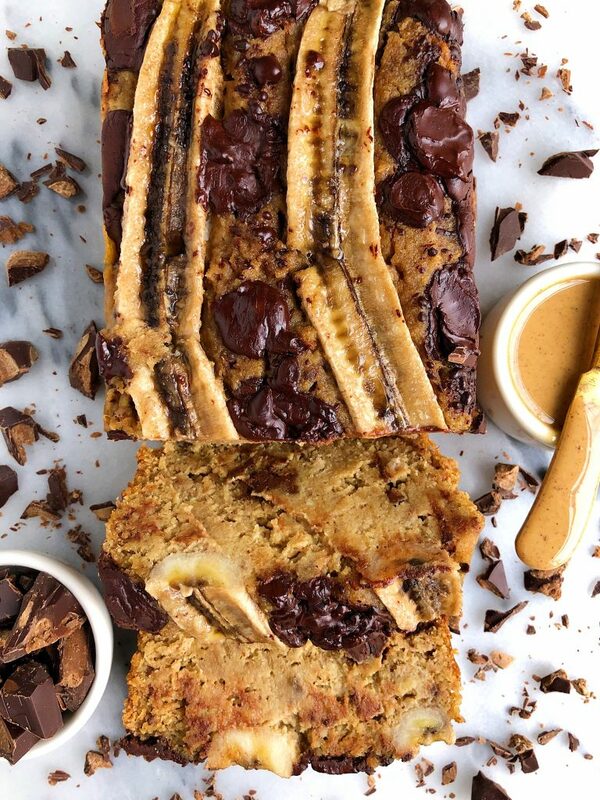 This Paleo Chocolate Chunk Tahini Banana Bread is naturally sweetened from banana and maple syrup. The dark chocolate is even refined sugar free (more on that in the recipe!). I use flax egg instead of pasture-raised eggs (but you can sub egg if you prefer) and use almond flour and ground flaxseed for an extra boost of healthy fats and protein. 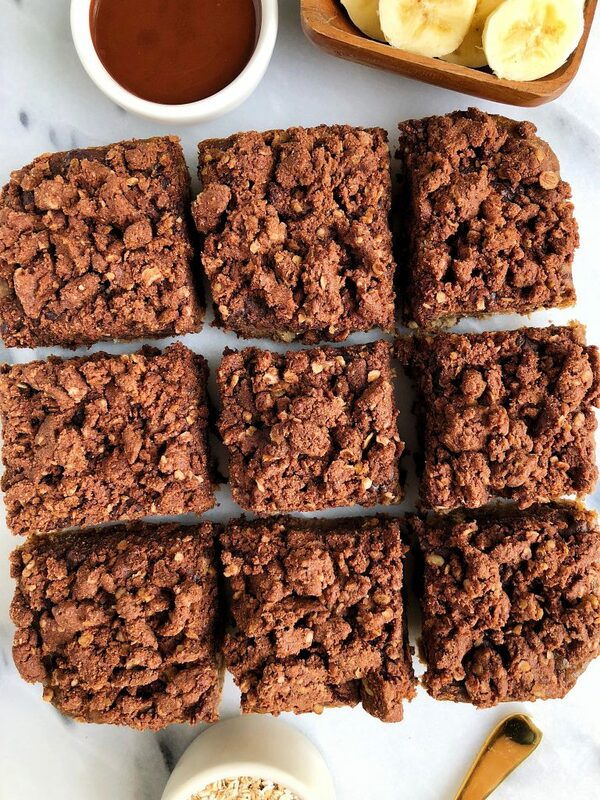 The dreamiest Chocolate Crumb Banana Bread Bars made with vegan, gluten-free and refined sugar-free ingredients! For starters it’s not the traditional loaf form and instead made into bars. Making them perfect to snack on all day every day. Plus they are a combination of two of our favorites: crumb cake AND banana bread. Oh and don’t forget the dark chocolate. The bottom layer of these bars is a moist (accurate word) banana cake mixed with dark chocolate then on top a slightly sweetened chocolate crumb topping. As soon as I snagged a few bites of the crumbs before they even baked in the oven, I know it was going to be something good. These Chocolate Crumb Banana Bread Bars are vegan, gluten-free and nut-free. They are also packed with extra nutrients thanks to Garden of Life flaxseeds, chia seeds and extra virgin coconut oil. I love that all of Garden of Life products are 100% organic and made with quality ingredients. You guys know about my obsession for all of their food, supplements and now their new essential oils. 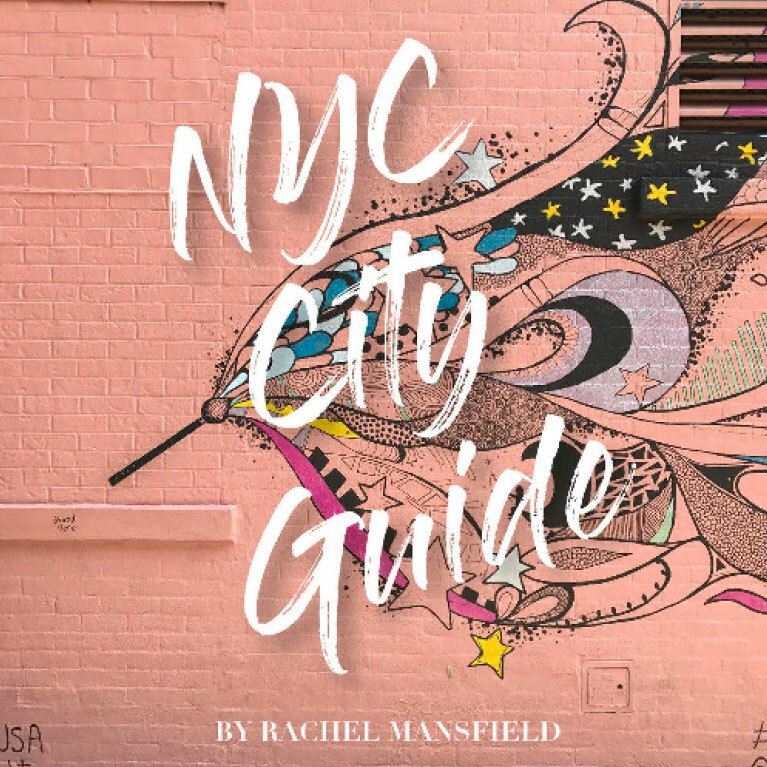 Plus it only seems fitting to share this recipe after having the most magical event with them in Chicago this week!